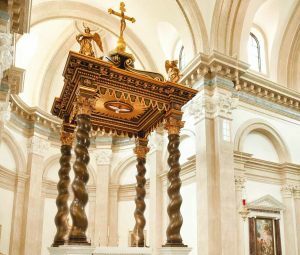 The designers and artisans of Granda design, improve, and enrich oratories, chapels, and parishes directing a wide range of liturgical projects that add beauty to new or existing buildings. 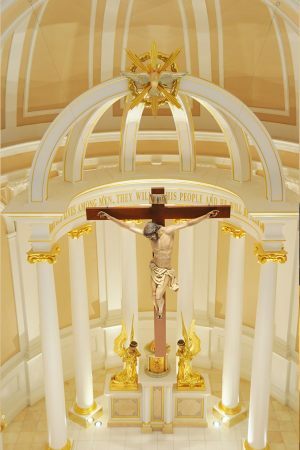 Our experienced team of talented designers paired with an outstanding ability of our workshops to create any object of liturgical art enables Granda to provide the most comprehensive service for the interior design and renovation projects of ecclesial and liturgical interiors. 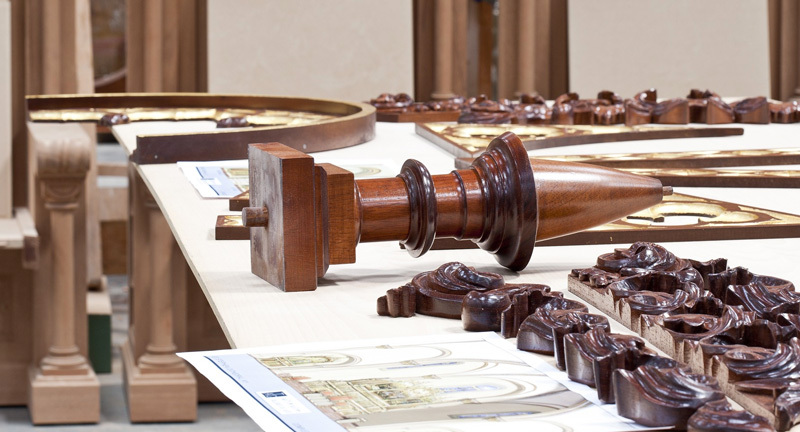 We are prepared to address the design and fabrication of all types of religious and liturgical objects, participating in the development of all aspects related to any style of architecture and interior decoration. All projects are carried out by a highly qualified multi-disciplinary team consisting of consultants, artists, engineers, architects, craftsmen, and designers. 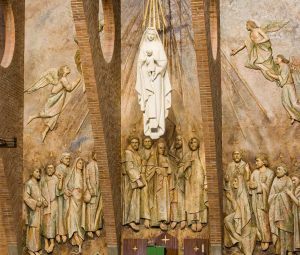 Our overall approach is based on an appreciation for artistic and religious tradition, an understanding of iconography and symbolism, sensitivity to liturgical recommendation, and a concern for the practical needs of the parish or community. We work in diverse artistic idioms, but always uphold the principles of dignity, popularity, religiosity and symbolism that have characterized the company's work from its foundation. 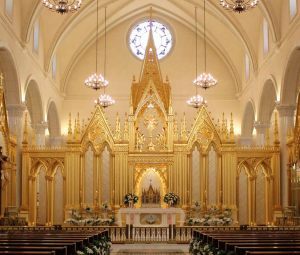 Classical, Gothic, Baroque, and 20th century styles are all employed in ways that accord with the most enduring and tried principles of sacred art. 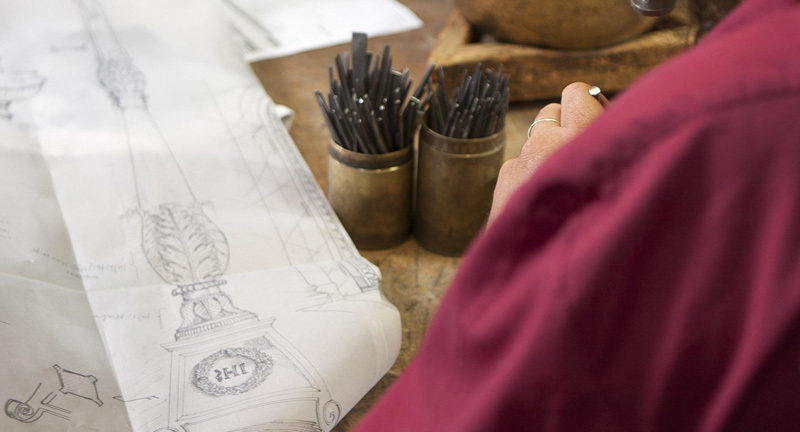 The design department also has the necessary experience to collaborate with architects and contractors, and to advise on practical matters such as lighting, wall treatment and flooring. Our team in the United States is available for on-site presentations and meetings. 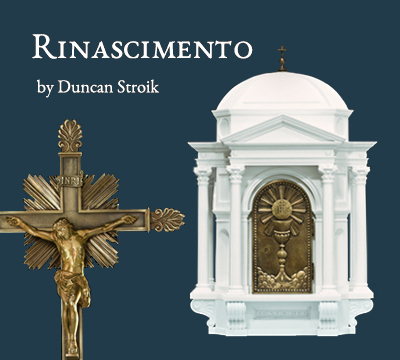 We are prepared to explain and illustrate custom design and renovation projects and proposals to prospective donors and worshippers with the use of drawings, photographs, samples, and other supplemental information. Please contact our office to inquire about scheduling an appointment for a visit to your parish or institution.